"Hide your identity on the web and block annoying ads." 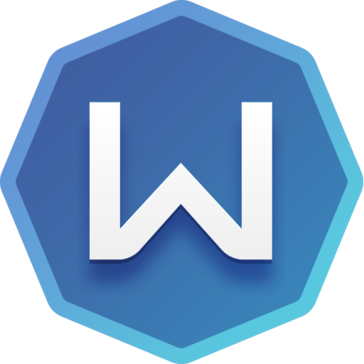 1. windscribe comes in two versions, one of them executable and the other as an extension of the google chrome browser. 2.- the installation of the browser extension is really easy and fast to perform. 3. Its vpn system is very good, being able to choose ip from multiple countries around the world, with which you can skip the geoblocks of some pages and forums. 4.- by using some of the available ips you can effectively hide your identity, avoiding traces and attacks by malicious codes. 5.- Thanks to its adblock function you can block malicious auto-downloading content as well as annoying pop-ups (especially useful when downloading files). 6.- The browser extension is very light so the web browser works fast and without inconvenience. use windscribe and so far everything has worked very well, so I have nothing negative to write. I believe that windscribe is an excellent product, since it allows you to effectively block pop-up windows and also allows you to protect your identity and privacy through multiple ips that also allow access to pages that contain some geoblocking. Another great advantage is that the connection to the different ip is very fast, the navigation speed is quite good and above all, it is very light, so it does not affect the general navigation. I currently use windscribe for two tasks in particular, the first of which is to be able to access content from forums that has geoblocking and that, for example, can only be accessed by people with IP from India or Brazil. I also use windscribe to filter content and prevent many popup windows from opening when you want to download from a page. "Fastest VPN i ever use"
After having used different VPN applications I can say that Windscribe is one of the fastest in terms of the connection with the chosen server, almost all VPNs do this in about 3-5 seconds with this application is almost half, for what speed is one of your positive points. I also liked the interface, visually attractive, with blue tones and good typography. The interface is also simple only shows relevant and necessary information such as the servers that can be chosen to connect, the IP obtained from the server and a disconnect button. Although it has fewer servers available than other VPNs, they all work very well and are fast for navigation, this I liked especially because having used other VPNs you find that although they have many servers you realize that after connecting the server is slow or even it works, in Windscribe there is less quantity but more quality in the servers. The biggest mistake I've found has been not having a search box to filter countries or servers as searching through the list is a bit annoying when the application is showing all the servers in a country with a large number of servers as USA. I think that implementing this would be easy and very useful for users. If you are looking for a VPN with a decent number of servers and that are available without problems most of the time you should try Windscribe. In addition, the servers are very fast and the license costs are low compared to other applications. I use this application in my work to perform tests simulating different locations and I also have another own license in my personal computer, where I use Windscribe to navigate anonymously. The benefits of using this VPN is that it is cheaper than the one used before and also much faster when establishing connections. The best thing about the VPN is the simple interface that it presents, making the operation of the application very simple, in which we only have to select the location of the desired server. Of all the VPNs that I have tried, I think Windscribe is the one that consumes less resources and still has a clean and beautiful interface. Another feature that I liked about Windscribe is the speed with which it is changed from one server to another and the connection is established, it is barely 2 seconds when other vpn can take up to 10 seconds. It offers a decent amount of locations (although it is not the most offered of the vpn I've tried) spread across America, Europe and Asia. USA is the location with more servers which is normal but in comparison there are hardly any European servers. The vpn is updated regularly which is something to be thankful for, there is almost an update per week. - It does not have (or I did not find) the option to enable the location filter. I recommend that if you are going to buy the Windscribe license, try the membership for life as it has a very good quality / price ratio. Also, if you need a VPN that connects quickly with Windscribe servers, it will fulfill your expectations. I needed a VPN that offered more than 10 servers from the United States and that was fast both in the connections with the servers and in the web browsing. Be satisfied with Windscribe because it fulfilled everything needed with a good price. We have servers in the locations you mentioned, as well as pretty much every country in the EU. Not sure how you missed that. "Great VPN at a very low price"
I have been using Windscribe for the last two years and has fulfilled satisfactorily whenever I needed to use it. The best of the application from my point of view is the simplicity offered by its interface, unlike other VPN applications, Windscribe is very well organized and has a nice graphical interface. Technically it is a stable application that fulfills its objective and offers us different locations and servers in any continent. It also has different options to configure the application to our liking, especially the option of Kill switch that is very useful. The only negative aspect is that certain locations have very few servers, important locations such as UK, Spain, Italy do not have many servers available to choose from. And to add something more, you could add the possibility of filtering or searching countries through a search box, sometimes I need to look for a specific country and I lose a lot of time trying to find it in the list. I recommend using this VPN (Windscribe) if you want to change your IP address or location to connect to any site in an entirely anonymous way. In addition its price is very low and offers a very decent number of servers, although not many. Thanks to this VPN we can simulate different locations to check how our applications work. We also use it to be able to connect to certain applications that limit us the connection to certain specific locations for some countries, especially the USA. "Secure yourself with Windscribe "
What I liked most about Windscribe is that unlike other VPN its interface is very simple and with a single click you can connect to the location you need. It also supports all versions of windows, including Windows 10 in which it is very well implemented. - Many locations and for each of them offers many different IP addresses. Windscribe licenses are very cheap and the software is very good for the price it has. If you are looking for a VPN with many locations and IP, I recommend you try it from its trial version and then buy it if you like. In some jobs as a developer one needs to connect to the software with different IPs and locations to check how the software that is creating and using Windscribe behaves because it offers a large number of locations and its price is very low. - It's easy to hide your identity when you browse the internet especially not at home network. -The best part of Windscribe is location customization, I can customize the VPN location of my choice and one location is just $1 per month. -The browser extension is super easy for the desktop version, just click on, cruise control will select the best available server location, or I can stick with any location of my choice. If you don’t need VPN just click off. - US and UK Windflix servers work perfectly with Netflix streaming. -Inbuilt add blocker to hide unnecessary adds display and internet tracking. -Pro server location has faster speeds and multiple server choices. If you need reliable VPN w/ free version, definitely use Windscribe. It is easy to use and very simple UI. It's always easy to test web-based application remotely and browse internet anonymously. I feel safe using Windscribe when traveling and using public internet. Simple GUI that does not get in the way. It connects quickly. Has a built in firewall. The site gives you the most free amount per month I have ever seen. I believe it is at 12GB free now. And they give you an extra 1GB for each person that uses your link. The will even give you a full month of whatever plan someone that uses your link purchases. On top of that they have an affiliate program that will pay per user as well. Nothing really for me it is ideal. I have tried pureVPN I tried avast vpn, a bunch of others this has been my favorite. Look if you want a great VPN that is easy to use and has lots of affiliation perks. This is it. I use it when working on clients computers by remote access for an added layer of protection. I also use it anytime I am making online purchases. "Un plus de seguridad en internet"
Windscribe es mi VPN preferido, ya que incluso desde la versión gratuita permite una utilización bastante completa por parte del usuario. En su versión gratuita permite elegir entre servidores situados en 10 países (entre los que están USA, Canadá, Gran Bretaña, Francia o Alemania) y dispones de 10 gb para navegar por internet. En su versión pro, que si eliges el plan de pago bianual sale a 3,70 dólares mensuales (algo más de 3 euros al mes), ofrece tráfico ilimitado para navegar y servidores en más de 100 ciudades. Es un precio muy razonable, y muy competitivo si miramos lo que ofrecen otras empresas. Un VPN para quien no lo sepa, es una red privada virtual, que te permite navegar por internet de forma anónima, ya que tú te conectas a un servidor (que puede estar en el país que elijas) y desde ahí te conectarías a los contenidos que quieras, de forma que no se puede conocer tu auténtica IP (ya que de cara al exterior tu IP será la de ese servidor) y nadie puede rastrear tu historial. Su utilización resulta extremadamente sencilla: una vez que te descargas la aplicación, cada vez que quieras navegar de forma anónima, solo tienes que abrirla, y pinchar en el botón de encender. Cuando estés conectado a un servidor, la aplicación te lo dirá con un breve mensaje. También si quieres puedes encender el firewall, pinchando en el interruptor que hay en la parte inferior de la ventana de Windscribe. La verdad es que no sabría cómo mejorar el servicio de Windscribe, hasta ahora no me ha dado problemas. Es barato (o gratis según la versión), sencillo y no ralentiza la navegación apenas. Creo que deberías probarlo. A nivel empresarial, además de anonimato, también aporta seguridad al ir cifrada la conexión con el servidor. It has several places in different countries and within those countries. The servers are very fast and are sorted in the list of higher to lower speed. Easy to install and with a nice interface. Sometimes the servers that in theory are faster, become slow and the service vpn cuts the Internet. For such movito I must stop executing it for a few hours. Before it worked to unlock the content of the streaming pages, but I can no longer access. Excellent VPN program that helps us maintain greater security and confidence while we are connected to the Internet. Good navigation speed and prices are affordable. Thanks to Windscribe I have cybersecurity and access to blocked sites in my locality. I protect my ip location and my personal data from hackers and marketing collectors. "It's a great vpn service"
The speeds of all the ips are pretty incredible, and I have never had issues with being able to my work intranet using this at home either. It is very easy to set the account up. I also like that it blocks out different ads and other malware and phishers online. It keeps the system pretty dang secure! I don't like that the premium versions are so expensive for personal usage. Majority of the networks can only be accessed through the premium version. Although the performance is pretty much excellent, the server is a little bit small. Highly recommend Windscribe and all of its functionalities even though it is a little expensive. I mostly use this to access my workplace's intranet when I'm working from home and it's really helpful for that, and gives me a much greater speed as compared to other vpn services such as cisco. What I love the most about windscribe is that even after connecting to a different network, the speed is almost the same while changing the VPN. It is a great tool to protect privacy online and block ads. I also love the netflix extension for it, as its ad and tracker blocking features work well on it. It provides a good 10 GB of data to be used, if you provide your email address, and that can last a really long time to keep you safe from phishers and trackers. I particularly hate that there are so few networks available for the free users, and those are pretty much very common ones. To connect to a few more, the charge is a whooping $49, which is a really high price. Windscribe is definitely way better than any other google extension for vpn, and secures the system pretty well. I use it to maintain my privacy when I am visiting websites which could potentially have trackers or phishers. Our group of researchers and teaching assistants need to maintain a large database of students and confidential information on cloud and still be able to share it securely, and windscribe is a great tool in making that possible. "Excellent software for vpn services"
It has a nice interface, the best thing is that it has many servers in different countries and the same program is responsible for granting us the best option according to the speed of the server at the moment you want to use it. A good option to maintain your privacy and security while you are on the network. With Windscribe you have more freedom on the internet. Thanks to Windscribe, I keep my connection secure and private on the network. I can access blocked content in my area and avoid the theft of personal data on the network. In my company we have used several VPN for a long time and we always used to change, so far we have tried about 6 or 7 VPN but since Windscribe we have stayed with it for 1 and a half because it seemed the best option for quality and price. Although we also decided to stay with it because we use a lot of virtual machines (VirtualBox) and since it is the simplest interface, it does not consume many resources. Windscribe has dozens of locations on several continents and a large number of servers per each country, especially in the United States, which is the one we usually use due to our business needs. Another interesting thing about Windscribe is that it allows you to route the complete connection of your computer so that all the services you use on your computer go through the VPN and not just the browser. The only negative of the VPN could be that in some important locations such as UK or France there are not many servers, I hope that with time they add more. I recommend Windscribe as a business solution if you are looking for a VPN with many locations and a fair monthly or annual license price. We need to use Windscribe for certain services that we offer remotely. With Windscribe we connect through a VPN with our clients and provide them with services. In addition to solving the problem of VPN Windscribe does so with a very low price. "Great basic VPN for individuals"
Windscribe has a clean, easy-to-use interface and is simple enough that almost anyone who wants to protect themselves on the go can use it and even potentially understand it with the clear, informative description that Windscribe presents regarding what a VPN does and how to use it best. Pricing is outstanding too for what you get. Nothing that I can think of! The installation process used to be a little trickier, but everything is smooth and easy to use now. Especially for the price (they have regular sales and discounts that make it extra-reasonable), Windscribe is an outstanding entry-level VPN for individuals. I travel quite a bit but need to access network shares at the university and at home in order to analyze and share data. This helps keep our data safe and secure. "Exceptional for join in restrictive markets"
It's cool be able for access development countries markets, because there are usually a bit restricted in full developed countries. With this program you can do it. You have a lot of countries able to use with it, best are countries like Germany, for see yourself what content is blocked for their citizens and learn how to make yourself a niche on that empty space. It's REALLY easy to use, just select a country and it will be connect, without other configuration, just click and connect, it's maybe the easiest in market. Very fast connections event in developing countries, all of these things make Windscribe the better option for a company or user in search of an affordable program with a low price, an excellent service with an unlimited, fast and complete use. If you want to test it you can use a coupon (you can find it searching in internet) for a 60 GB free plan. A bit expensive in monthly plan, and that is without comparing with other competidors in their sector, but isn't unaffordable. It can be solved with an anual or bianual plan. Just compare prices, but it is a great option, with anual plan is very affordable. We need join new markets for unaccesible webs in foreign countries and search information with better bias in search engines. As i told in 'best' section, Windscribe solves you a lot of problems with restrictions in developing countries. "One of the Better VPNs"
I downloaded this program about 4 months ago, as a recommendation i saw on another site. they recommended it for a VPN for downloading online. The program itself was easy to install and as far as i have on my laptop at home, it is simple to use. I loads with startup, and does not slow the computer. Once loaded it gives you the option to turn on or not. Most programs just go on.. (perk1) you can also select right there in your face the country for the VPN, most programs you have to go deep within the settings to choose (perk 2). The version i have gives me a bandwidth per month, for as long as i have had it i never go over.. (perk 3) and it resets at the end of the month. So far, nothing i dislike about it. works, does what it was meant to do and is extremely easy to navigate. Download, test, see if it works for you. It worked considerably well for me! I see the icon of Windscribe in my down menu, but it has no use, as it is a duplicate of the tray icon (useless and takes precious space) and I can't remove it without exiting the app. Making sure a connection is fully encrypted while using public WIFI, getting access to websites blocked by the government in Russia. "Decent VPN that has good free trial and speeds"
Dedicated apps for mac and iPhone so access and connecting is easy and fast. There's several servers you can chose from ranging from 3 in the USA to ones in other countries. The connecting process is fast and intuitive as well as a very good firewall feature that blocks all internet connection when the VPN is off. The UI is sometimes difficult to use/laggy. I know that the mac application is not very intuitive if you use multiple desktops. The iPhone app is sometimes a little laggy, but overall not many issues. Main issue is security on the go. Since our data has customer personal information it's extremely risky to access the internet in free wifi areas, so Windscribe bring peace of mind. The mojor thing I like about windscribe vpn is that, it hardly disconnect like other vpn, even when I make call with my phone when the VPN is connected, as soon as I finish I can continue using it... It will not disconnect... The connection is just very strong.. The free version has very few countries..
Getting access to unpermited site, and browsing anonymously to site I don't want to be identified or track. "Guaranteed private browsing thanks to Windscribe"
It works perfectly, the connection is fast and has good security protocols. Also the number of servers available is decent. Sometimes it can disconnect randomly or certain networks can run pretty slow, especially servers in the United States. Guaranteed private browsing, fast servers and attractive interface. Windscribe allows us to protect our privacy and improves your security, has access to content without restrictions. "Great Service for the user with a constrained budget and a need for a VPN"
Facile da utilizzare, veloce e, soprattutto, a un costo minimo. Offre una vastissima scelta di server stranieri, tutti velocissimi (quelli disponibili). Mai nessun problema, i miei dati sono sempre al sicuro! Alcuni server sono perennemente disattivati, ma questo è l'unico punto debole che sono riuscito a trovare. Windscribe mi ha permesso di tenere al sicuro i miei dati quando navigo da diversi mesi e continuerà a farlo vista la sua fantastica utilità. "Easy VPN IKEv2 Profile after few clicks setup"
"Excellent suite of security features"
Windscribe has servers in 45 locations all over the world. It has the most important connection modes which are UDP and TCP. It also has the best protocol that currently exists, which is OpenVPN. I have had problems with downloading and streaming content because the speeds are not that great. If you haven't found the VPN for you, then windscribe is worth looking in to. We use Windscribe to change locations and verify the correct functioning of our development servers. "One of the best VPN's "
1.Presence of Browser Plugin and Desktop versions. 2. The time taken to establish connection to any server is very fast. 5. The browser extension has Ad blocking capabilities. I haven't found any cons till now. It provides everything a Vpn software should provide. Rarely the speed is an issue, and 96% of the time at least for me, speed has been always good. Economical Vpn software, yet feature-rich. Pues lo mejor que he visto ha sido para lo que realmente sirve y no es otra cosa que navegar a través de una vpn. Hay muchos países a elegir, app para móviles y extensión para chrome. Lo que menos me ha gustado es la velocidad, y el tema de la privacidad no lo tengo muy claro. Si necesitas un software para navegar de incógnito a través de una vpn te servirá. "Great VPN - low price, decent speeds"
I got a good deal on monthly GBs. It's easy to use, has a food Windows program and notifies you when you're nearing your limit. The speeds could be better. I'm interested in knowing how the data flows. * We monitor all Windscribe reviews to prevent fraudulent reviews and keep review quality high. We do not post reviews by company employees or direct competitors. Validated reviews require the user to submit a screenshot of the product containing their user ID, in order to verify a user is an actual user of the product. Hi there! Are you looking to implement a solution like Windscribe?